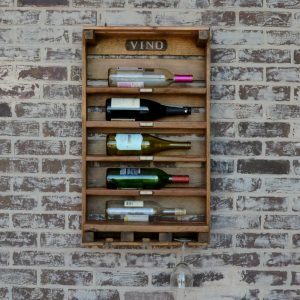 This Rustic Wall Mounted Wine Rack is made from a vintage English vegetable crate. This creative storage piece will add rustic charm to your kitchen! 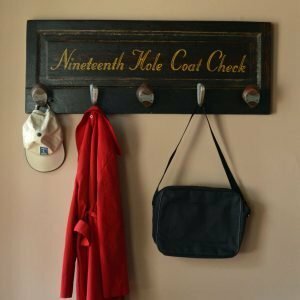 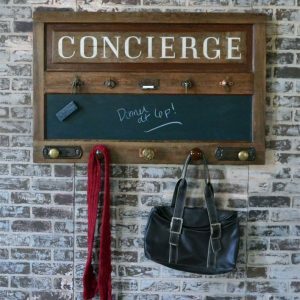 View cart “Wall mount coat rack with mirror and vintage hand drill knobs” has been added to your cart. 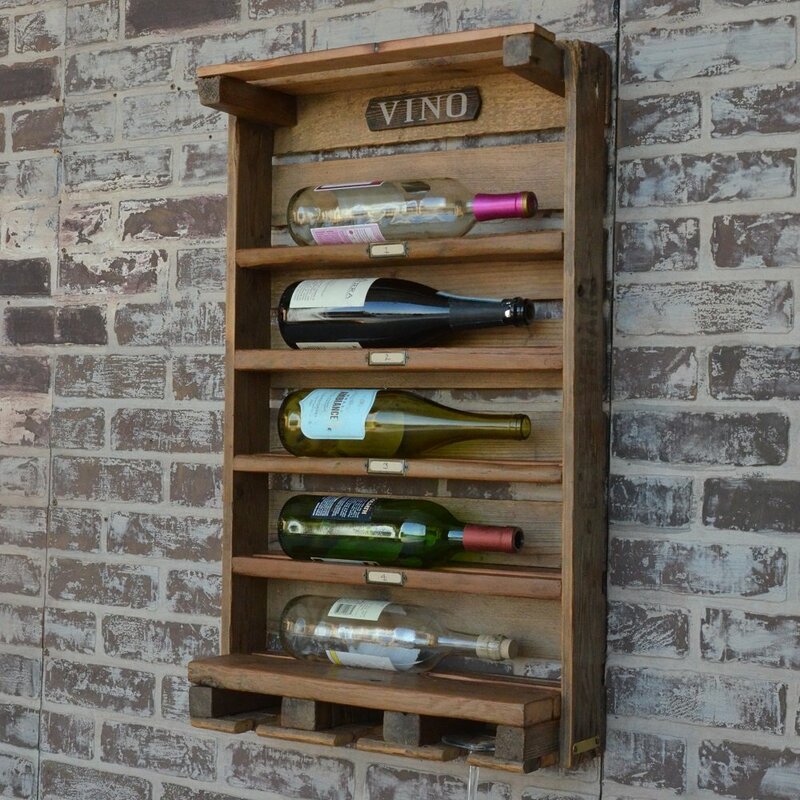 This rustic wall mounted wine rack will organize your wine in style! 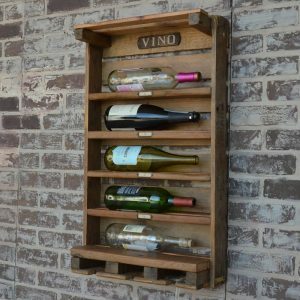 Made from an authentic English vegetable crate with 5 shelves for wine bottles, each has a name stamp on along the side from the original owner (of the crate that was used). 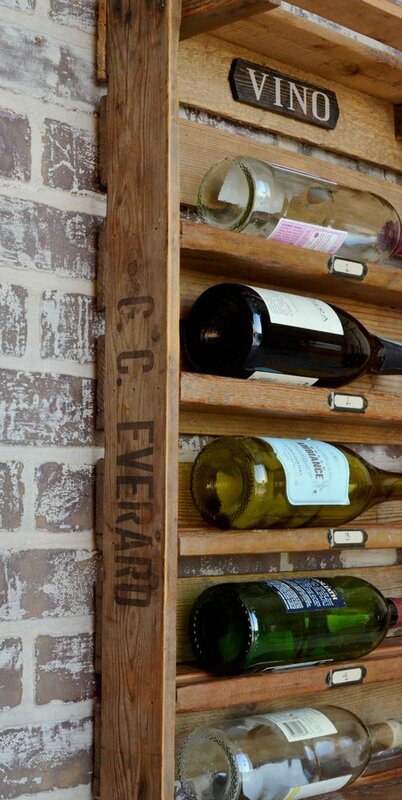 A glass rack holds up to 6 glasses below the rack. 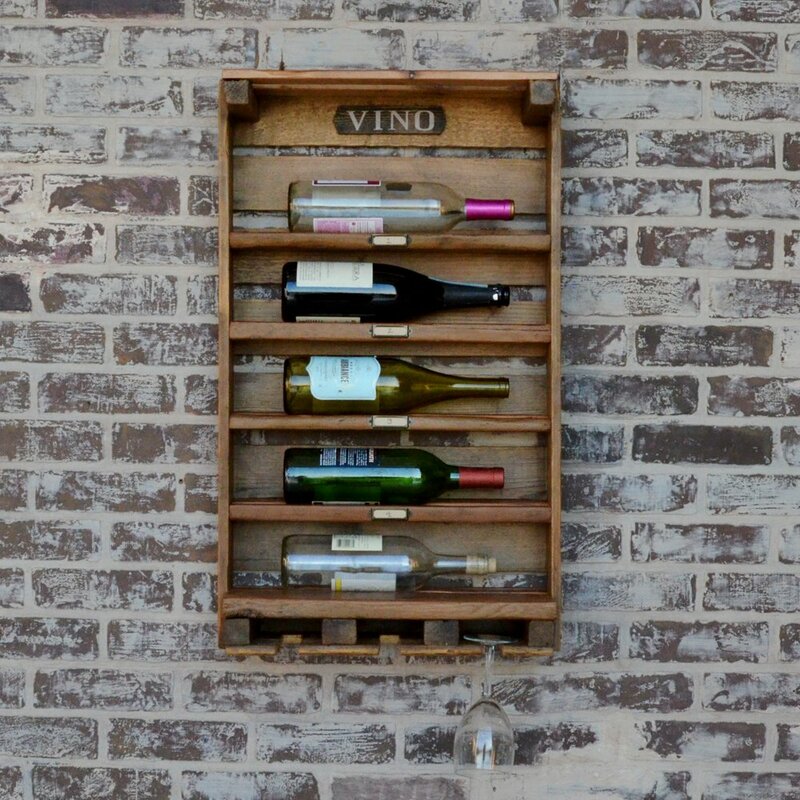 Label holders compliment the small wooden plaque at the top reading “Vino”. 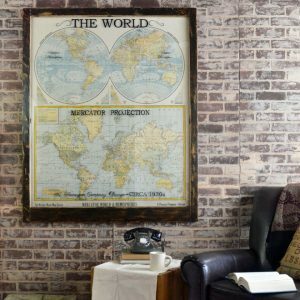 Bring European style to your kitchen! 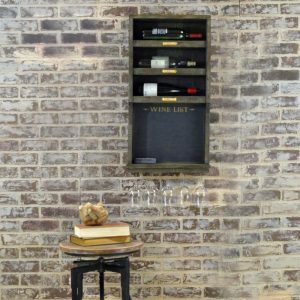 This rustic wall mounted wine rack will add vintage style to your kitchen or entertaining space! 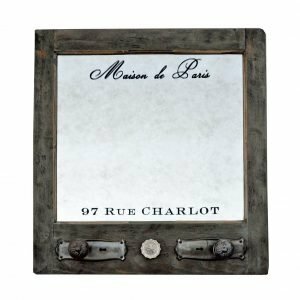 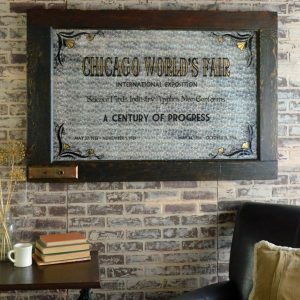 Made from authentic vintage English vegetable crates – each will vary slightly.